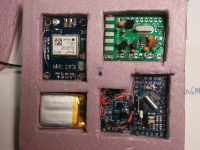 The Ultimate3S QRSS/WSPR kit was launched in January 2015. 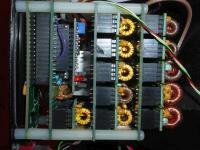 It uses an Si5351A synthesiser kit instead of the earlier pre-built AD9850 DDS module used on the U2 and U3 kits. 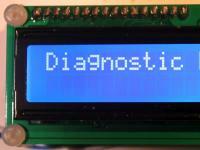 The kit can transmit a variety of QRSS and WSPR modes on all amateur bands from 2200m to 2m. 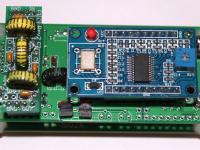 The Ultimate3 QRSS/WSPR kit was produced from November 2013 to December 2014. It used a pre-built AD9850 DDS module the same as the U2 kit. This kit has now been superceded by the U3S kit. The Si5351A synthesiser can also be used in the U3 kit, with firmware versions v3.07 and above. Power output is lower than with the DDS but can be restored with a modification. The firmware is the same for the U3 and U3S kits. 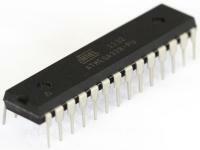 It automatically detects whether an AD9850 DDS is used or an Si5351A synthesiser module. This page lists the firmware history and also provides the operating manuals for download, for each firmware version. 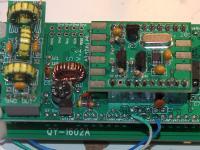 Here a number of modifications are described for the U3 and U3S QRSS/WSPR kits. Some modifications apply only to the U3, some to the U3S, and some can be made to either kit. Modifications should be undertaken carefully, make sure you understand what you are doing, to avoid damage to your kit! A selection of U3 and U3S kit builders' photos! 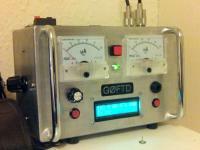 Get ideas and be inspired by what other Ultimate3 kit owners have done with their kits! Even better than photos, are some of these videos showing various topics including the Ultimate3 kit in operation, constructing the Ultimate3 kit, etc. Sometimes you build your Ultimate3 kit so carefully but still, it doesn't work when you power it up. Apart from checking your construction, checking, and checking again - this page lists some troubleshooting tips that may help you find the problem. Several technical articles related to the Ultimate3 that may be useful. 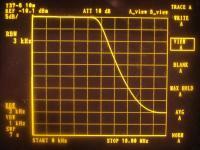 A description of the Huff Puff method of frequency calibration in the U3, Spectrum Analyser test results, details of testing/alignment of the AD9850 DDS modules, and GPS compatibility notes. A series of balloon flights using a customised U3 firmware installed on an Arduino Nano board for low weight, and using the SI5351A kit driving a dipole antenna direclty.